As I said earlier, most people picture the desert as a colorless stretch of sand dunes. 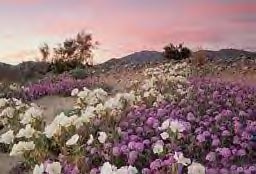 We're going to take a drive through the Sonoran Desert, and I believe, when we're finished, you'll have an entirely different picture of the desert in your mind. 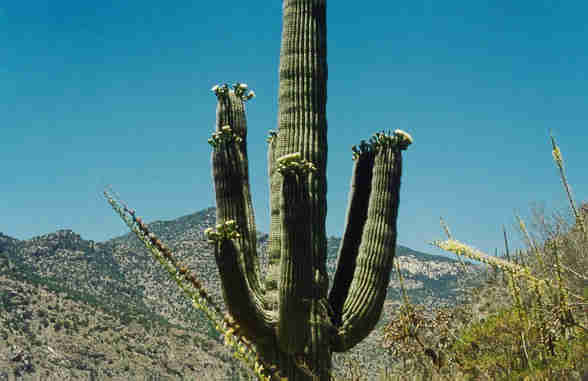 Let's start out with the magnificent Saguaro, (remember, Sah-wah-ro) the giant of the desert. They have a smooth, waxy skin and stout 2 inch spines. 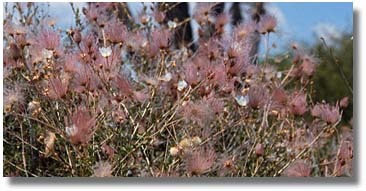 They grow very slowly, about one inch a year, but to heights of 15 to 50 feet. The largest ones with more than 50 arms are estimated to be 200 years old. 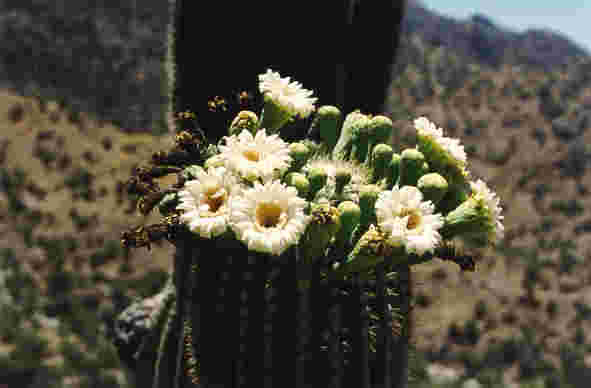 In May and June, the Saguaro sports creamy white three inch blossoms with a bright yellow center. Believe it or not, the root system on these giants is only about three to four inches deep with a three foot tap root. 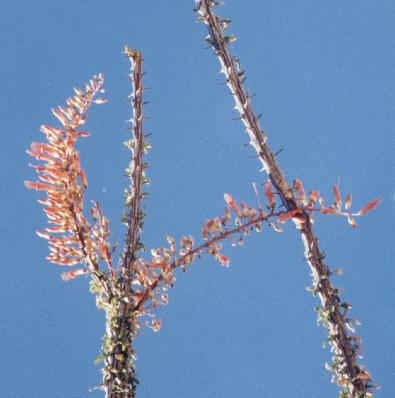 The Ocotillo (ock-o-teeyo) doesn't look like much other than a bunch of sticks, does it? Let's take a closer look. 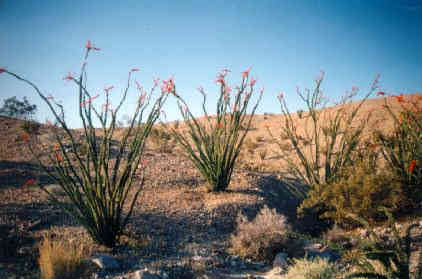 A delicate shade of pink crowns this ocotillo. And here, we have bright red blossoms. Brittlebush and Owl Clover blanket Puerto Blanco Mountain in Organ Pipe National Monument. 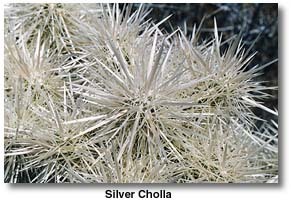 When you see flashes of silver in the desert, you're probably seeing Silver Cholla (choya). 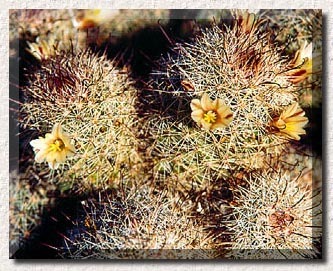 This is the only cactus having papery shields over its spines, giving it its silver luster. 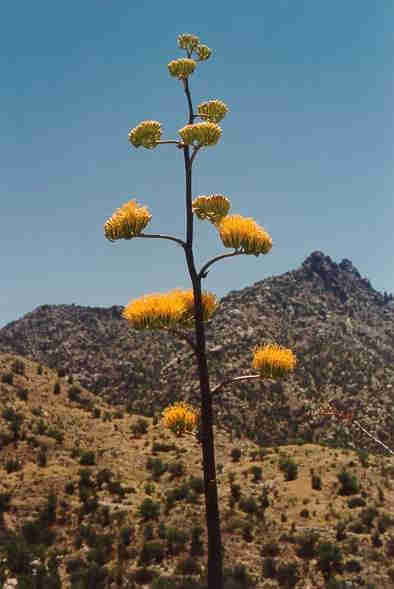 Here is an Agave in full bloom. 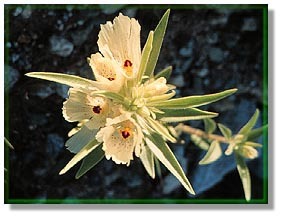 The flower stalks rise as much as six feet. 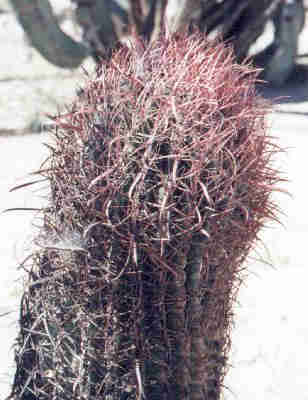 This is a barrel cactus. 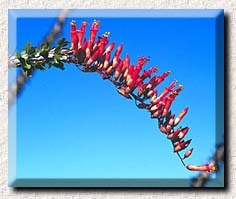 While it does bloom during the Spring, its pink spines give it color all year. Watch out - don't sit on it! 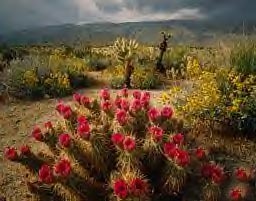 Here we see a Beavertail cactus in bloom. Easy to see how it got its name. I thought you'd like to see a close up of the Beavertail blossom. 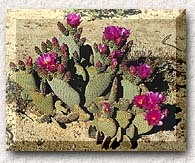 This is a Desert Christmas Cactus. It actually is covered in tiny white blossoms in the spring, but has bright red fruit in the winter. This cactus is aptly named - Fishhook. Its spines are in the shape of a fish hook. 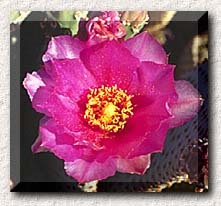 In addition to the blooms of the cactus, there are numerous desert flowers. 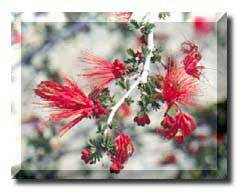 This is the Fairy Duster. And here we have the Ghost Flower. These lovely lavendar blossoms belong to the Smoke Tree. This beautiful flower is called the Apache Plume. Our house in Arizona sat at the foot of South Mountain. 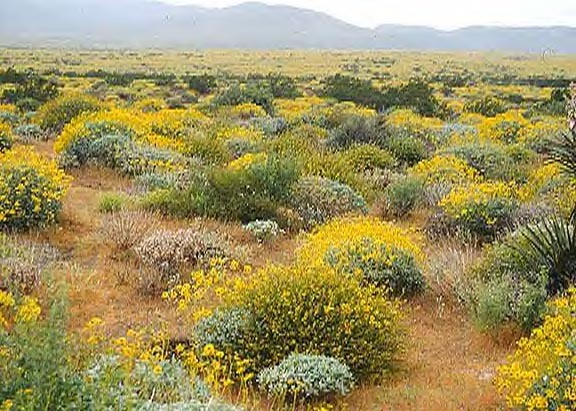 In the Spring, the mountain was covered with yellow Brittlebush. Here is a carpet of Sand Verbena and Dune Evening Primrose. 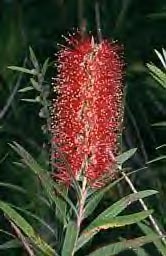 Can anyone guess why this is called the Bottlebrush Tree? 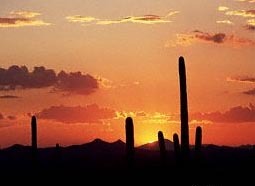 Well, I see the sun is setting in the desert, so we're going to leave Arizona now, but let's all plan on returning soon. There's so much more to see. This tour presented by Bobby and Bev.